One of the things I love about WordPress is its versatility. Just a couple of weeks ago I published an article on using WordPress for cloud-based apps (such as our very own ManageWP service). Although our favorite content management system was originally devised as a blogging platform, it has become so much more. And I am confident that its versatility will only increase as the years pass. Which brings me to this month’s plugins — a truly diverse collection. There’s definitely something for everyone here, and the sheer breadth of functionality offered by just these ten goes a little way towards demonstrating what is possible with WordPress. Enjoy! Copyright infringement is a major issue on the web. If you have been publishing content on the web for any length of time, you have probably been victim to content scrapers and the like. Whilst there is no way of fully protecting your content against theft, you can take steps to discourage unscrupulous types. That is the purpose of WP Content Copy Protection, which implements a number of basic restrictions to discourage content theft on your site. My warning in using this plugin is that it can irritate genuine visitors, as well as discourage people who intend to utilize your content legitimately. Download WP Content Copy Protection here. 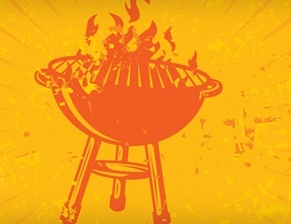 It’s not very often that a WordPress plugin makes you hungry, but BBQ is one such example. And although its functionality has absolutely nothing to do with one of my favorite styles of cooking, it does offer valuable protection against malicious URL requests. If you have been experiencing a glut of malicious URL requests then this is one solution to consider. It is a pretty simple plugin with limited functionality, but it does what it sets out to do. Download Block Bad Queries here. Spam is always a hot topic amongst bloggers. We have discussed various spam protection solutions in the past, but I am always eager to take a look at the newest offerings. And that brings me to Cleantalk, which utilizes a number of different methods in an attempt to block spam from appearing on your WordPress blog. This is done without a CAPTCHA, so the visitor is not affected in any way. One interesting feature of Cleantalk is its claimed ability to learn and recognize legitimate comments based upon past activity. With just over 2,000 downloads at the time of writing the jury is certainly out on Cleantalk, but it’s good to see a new kid on the spam protection block. I first came across this plugin over a year ago, so it has been around quite some time. However, whilst it is highly rated, it has not yet achieved mainstream success. On the backend you can choose which smilies to display and which to hide. It’s about as complete a smilie solution as you could possibly want for your WordPress blog. When it comes to creating tables in WordPress, I am a huge fan of WP-Table Reloaded. I have used it for posts such as this on my blog and would heartily recommend it to anyone. 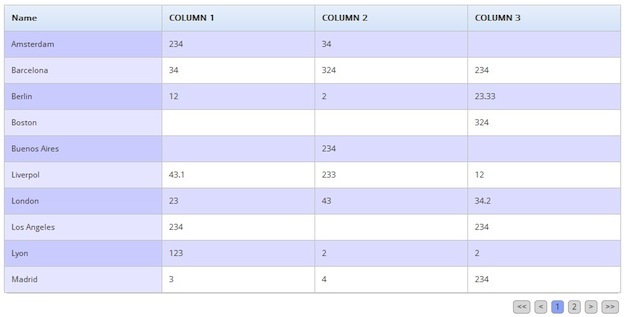 In fact, it seems to offer many of the same features as WP-Table Reloaded. Whilst it may not have the beating of its big brother yet, perhaps it is a worthy alternative. 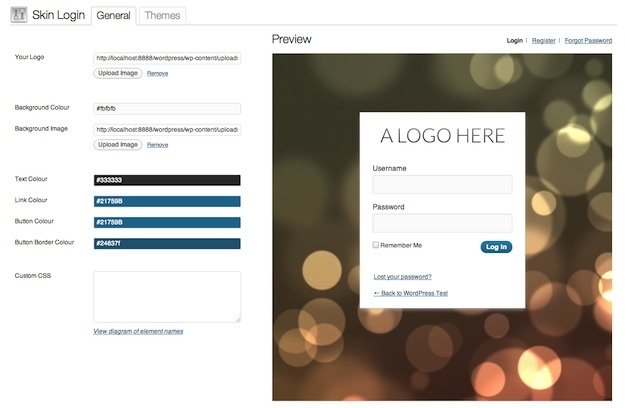 This plugin does exactly what you would expect — it enables you to “skin” your WordPress login screen (or more specifically, your login, register and forgotten password screens). I’m into tagging — I think it is a great way of providing context for search engines and can be genuinely useful to visitors if utilized correctly. But one thing that does bother me though is the possibility of omitting a tag on a relevant post. After all, I want my tag pages to be a complete resource — I don’t want to miss posts out. If you have a similar concern then it might be worth checking out Automatic Post Tagger. With this plugin you can create a list of tags with related words, and it will automatically create tags when the word is used in a post. Whilst it isn’t a perfect solution — you could end up with irrelevant tags being added if you just happen to include a certain word in a post — it is an interesting idea. Download Automatic Post Tagger here. This is a cool plugin that you can use to consolidate your online identity and make your life a little easier. It’s as simple as that. Your image, name, tagline and social media buttons are all imported from your About.me profile and presented as a widget on your WordPress blog. 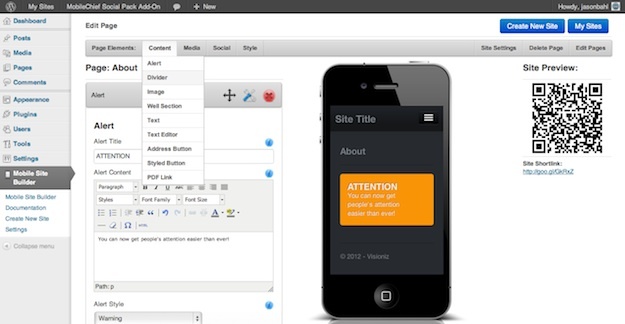 It was only recently that we discussed the merits of WPtouch — the most popular mobile theme plugin for WordPress. With that in mind, it is timely that MobileChief should appear on my radar — it is touted as a “powerful, extendable mobile site builder that helps you create stunning mobile landing pages”. Personally I would not use this plugin, but I can certainly see its appeal to certain WordPress users. Personally, I would rather shut down my blog than incorporate a lightbox popup. I hate them with a true passion. This is a free version of a premium plugin, so you should be aware of the limitations before making a decision. But if you are serious about adding popups to your site, Optin Revolution is well worth exploring. For those who find it difficult to add content to your site but are very active on social media, you should check out this WP plugin my team and I created. It’s called Tint, and we help aggregate social feeds into your site so you’ll always have a more dynamic and less static site. Open to any questions or feedback! Cool monthly list of top Plugins. Is there any chance I can have some of mine included? Feel the same way about pop ups but the fact is they do work and many of the big brands use them for this reason. Fantastic Jeff — thanks for the tip! I’ll have to get in touch with Tobias.